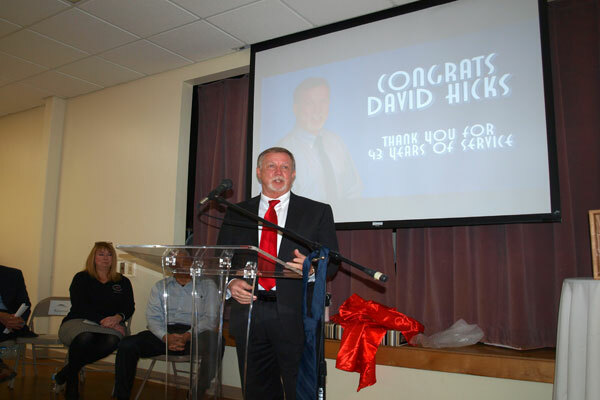 David Hicks began his career with the City as a Police Officer in 1975, was promoted to Chief of Police in 1993. During his time in the Police Division, he was instrumental in changing the culture and vision of the Moraine Police Division; his basic philosophy was proactive as opposed to reactive policing. Dave started or expanded several Community Policing Programs: Citizens Police Academy, Traffic School, DARE, National Night Out, Police Athletic League and the Bike Patrol. His focus was always on providing excellent service to the Moraine Community. This combination of proactive policing and community outreach was supported by expanded training and educational programs and resulted in improved community relations and employee morale. Establishing a quiet zone at one residential rail road crossing, reducing noise and resolving years of citizen complaints with minimal City expense. When Montgomery County announced they were leaving their facility on Lamme Road, adjacent to two outdated and troubled mobile home parks, he persuaded City Council to acquire that land and the trailer parks and built a new single family housing development (Oak Pointe). Dave led in dealing with the issues related to the assembly plant closing, first organizing the regional bus trip to G.M. World Headquarters and then lobbying “everyone” regarding the disposition of the vacated plant, which as we all know is now home to Fuyao. He lobbied Senators Brown and Voinovich, Representative Mike Turner and Lt. Governor Lee Fisher, Motors Liquidators, the RACER Trust and others, to reuse this property and adjacent properties rather than allow scrappers to buy and salvage the buildings. Dave cold called Stu Lichter, chairman of IRG, who eventually bought the property. Dave established Zero-based budgeting for the City which means all expenses must be justified and he introduced Interest Based Bargaining for the City’s unions which reduced the number of negotiating sessions by more than 50% and reduced staff and bargaining unit members’ time, during the economic fall, he organized a Citizens Budget Advisory Committee which was critical as across the board expenses were cut. Generally, his approach to managing the City tracked the proactive approach he introduced in the Police Division.